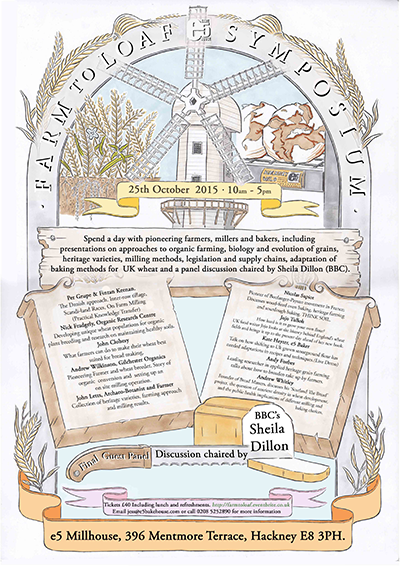 The event at the E5 Bakehouse in East London brings together pioneering farmers, millers, grain merchants, ecologists and bakers to discuss ways in which we can shift our food production to a more local, diverse and resilient system. The event will cover alternative farming approaches and distribution as well as milling and baking techniques for a more resilient system. ORC's Nick Fradgley will be speaking on 'Developing unique wheat populations for organic plant breeding and research on maintaining healthy soils'.